With its focus no longer diverted by the aircraft formerly known as the C Series, Bombardier Inc. says it is working to improve the profitability of its regional jets and turboprops by boosting sales and cutting costs. The Montreal-based transportation giant's regional aircraft order backlog rose to 116 planes, enough for three years of production that sets it up for the potential to increase production rates. Its commercial aircraft segment won orders for a total of 16 Q400 aircraft and 35 CRJ Series equipped with its new cabin design. "Adding a little bit of volume here also is very beneficial to those programs as you add units especially at the current rates — that does improve the cost structure," chief financial officer John Di Bert said Thursday during a conference call about its second-quarter results. "It's about continuing to focus on adding volume, it's about leaning out the cost structure and make sure we have very efficient programs, really focusing on that aftermarket and then we'll take it from there," said Di Bert. Bombardier's shares increased 3.4 per cent to $4.91 in Thursday trading after the company posted strong results and signalled that its turnaround plan remains on track. "Our solid performance positions us to achieve our free cash flow break even target for this year and more importantly to sustain cash generation well into the future," Di Bert added. Bombardier, which reports in U.S. dollars, said overall revenues increased three per cent to $4.26 billion in the second quarter. Most of the improvement was due to an 11 per cent increase in revenue at Bombardier Transportation, which accounted for $2.26 billion of the total. 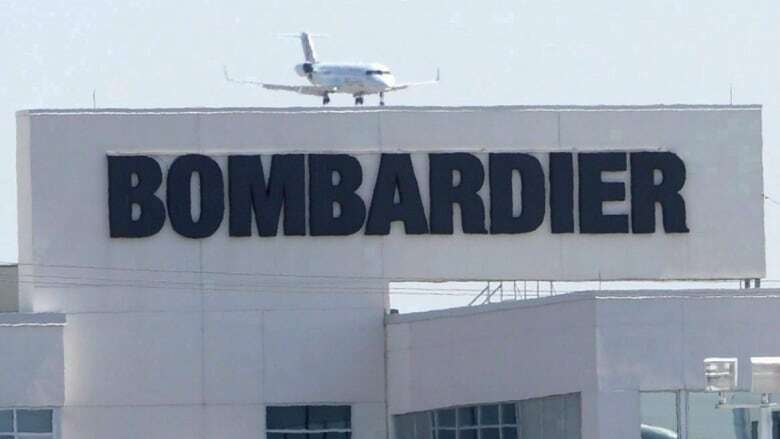 Revenue fell at Bombardier's commercial aircraft and business aircraft divisions. The company achieved a second-quarter profit of $70 million as it posted a $232 million increase free cash flow, helped by $600 million net proceeds from the sale of Downsview airport in Toronto. Net income was equal to two cents per share and compared with a year-earlier loss of $243 million or 11 cents per share. On an adjusted basis, Bombardier earned $87 million or three cents per share. Analysts had estimated one cent per share of net income and an adjusted loss of one cent per share, according to Thomson Reuters Eikon. "With our heavy investment cycle largely behind us, our focus is now on ramping-up production and improving operational efficiency to accelerate growth," CEO Alain Bellemare told analysts. The results were "impressive" with solid free cash flow and plenty of momentum for the second half of the fiscal year, said Benoit Poirier of Desjardins Capital Markets. Bombardier concluded a number of key strategic actions in the quarter, including closing a partnership deal with European giant Airbus. Under the partnership, the European aircraft manufacturer acquired a majority 50.01 per cent stake in the C Series commercial jet program effective July 1. Airbus has since renamed the two models of C Series passenger jets to the A220-100 and A220-300.